The days of patchy, stained grass are no more. Dog owners are all too aware of the problems with real grass developing nasty brown spots or dying as a result of too much exposure to dog waste. Mardi Grass is perfect for those who have pets. Our clean and hassle free Artificial Grass will keep your garden looking green and lush the whole year round. Your dog will love this surface. 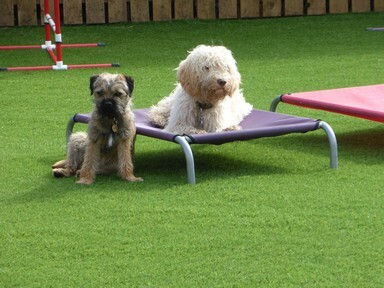 For pets we recommend you choose a slightly shorter artificial turf. Put simply, it’s easier to clean up mess. A 30mm to 35mm pile should be just right.